The results, based on a survey of beekeepers and samples from bee colonies in 41 states and two territories (Puerto Rico and Guam), span five seasons from 2009 through 2014. The study looked at two major parasites that affect honey bees: the varroa mite and nosema, a fungal parasite that disrupts a bee’s digestive system. The study found clear annual trends in the prevalence of both parasites, with varroa infestations peaking in late summer or early fall and nosema peaking in late winter. The study also found notable differences in the prevalence of varroa and nosema between migratory and stationary beehives. Migratory beekeepers—those who truck their hives across the country every summer to pollinate a variety of crops—reported lower levels of varroa compared with stationary beekeepers, whose hives stay put year-round. However, the reverse was true for nosema, with a lower relative incidence of nosema infection reported by stationary beekeepers. Additionally, more than 50 percent of all beekeeping operations sampled had high levels of varroa infestation at the beginning of winter—a crucial time when colonies are producing long-lived winter bees that must survive on stored pollen and honey. 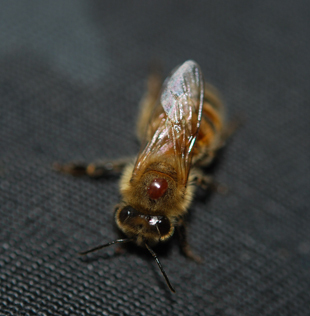 Some viruses do not appear to be associated with varroa or nosema at all. 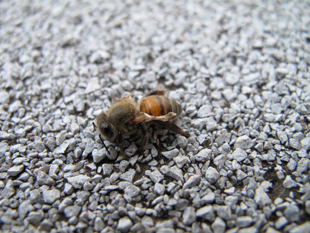 One example is Chronic Bee Paralysis Virus, which causes loss of motor control and can kill individual bees within days. This virus was first detected by the survey in the U.S. in 2010. At that time, less than 1 percent of all samples submitted for study tested positive for the virus. Since then, the virus’ prevalence roughly doubled every year, reaching 16 percent in 2014. The research paper, “Multiyear survey targeting disease incidence in US honey bees,” Kirsten Traynor, Karen Rennich, Eva Forsgren, Robyn Rose, Jeffery Pettis, Grace Kunkel, Shayne Madella, Jay Evans, Dawn Lopez and Dennis vanEngelsdorp, was published online in the journal Apidologie on April 20, 2016. This work was supported by the United States Department of Agriculture’s Animal and Plant Health Inspection Service. The content of this article does not necessarily reflect the views of this organization.